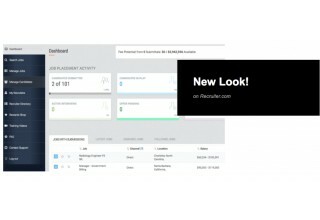 Bristol, CT, February 6, 2018	(Newswire.com) - ​​Leading recruitment marketplace platform Recruiter.com today announced the release of an updated user experience for recruiters on its website. The new software’s streamlined user experience makes it easier for recruiters to search for, source, and submit candidates. Recruiters also now have access to new sets of metrics and statistics to track and analyze their performance on the platform. 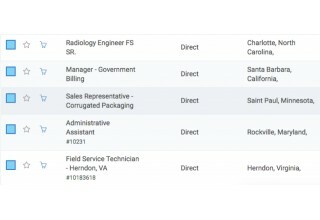 About Recruiter.com: Recruiter.com, Inc., is an online global recruiting service that offers an industry-leading job marketplace technology platform. With a highly engaged membership base, Recruiter.com works with hundreds of clients and employers and manages a social media following of more than 10 million people. Recruiter.com was voted “Top Tech Company to Watch” by the Connecticut Technology Council, cited as one of the “Top 35 Most Influential Career Sites” by Forbes, and listed by Inc. as one of the “9 Best Websites for Finding Top Talent.” The career and recruiting experts of Recruiter.com have been cited and featured in hundreds of sites and publications, including The Wall Street Journal, Entrepreneur, Forbes, Mashable, Business Insider, Inc., Fox Small Business, Time, The Next Web, Yahoo Small Business, US News, Business2Community, Bloomberg, and SmartBrief. Visit https://www.recruiter.com or follow Recruiter.com on Twitter: @RecruiterDotCom.